Scanbois oy founded in 2005 is a company exclusively serving the wood products industry and it’s organisations. The history and the experience of the company is closely linked to that of Mr Bo B Borgström (born 1942) graduated from the University of Helsinki 1966 in economics. 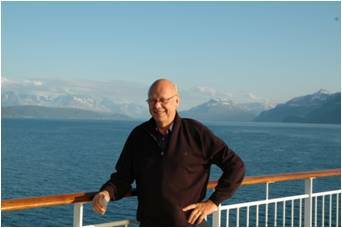 He has a 40 years experience in different leading positions in the Finnish and Scandinavian woodproducts industry. Starting as MD for the Tampella Wood Industry Ltd he moved along to become a director of EnsoTimber Ltd in 1992. In 1997 he was invited by the Finnish Forest Industries Federation to become the director of the Woodproducts Unit. After three years in the Federation he accepted a new challange in the Finnforest Corporation. His last position was as president and CEO for the Scandinavian group company Moelven Industrier ASA with more than 40 production units all over Scandinavia employing abt 3.000 people. Mr Borgström retired in Januari 2005 and then decided to found Scanbois oy in order to share his vast experience with those in the trade who liked to use his services.Beside Mr Borgström’s operative responsibilities he was also active in the industry associations and he was a long term Chairman of the Nordic Timber Council a joint Swedish/Finnish/Norwegian wood promotion organisation. In year 2000 Mr Borgström was elected Chairman of the European Woodproducts Industries Confederation (CEI-Bois) and was appointed Honorary Chairman at the end of 2005. Mr Bo B Borgström was granted the Finnish honorary title Industrial Councellor in 2004 and he became a member of The Royal Swedish Academy of Agriculture and Forestry in 2005. If you are a part of the wood products cluster and have a need for senior advices, strategy assessments or board representation you are welcome!